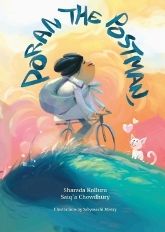 Sharada Kolluru's passion to create an imaginary world for children encouraged her to write her first book, A Kite Called Korika. She also writes fiction for adults. Sharada lives with her husband, Ram and two daughters Akshita & Avantika in Gurgaon, India.